April 21st marks the second anniversary of shocking and tragic death of musician and showman Prince. To mark the event, Paisley Park, Prince’s private estate and production complex located outside of Minneapolis, will be hosting its Celebration 2018, a four-day special event honoring and celebrating the life and legacy of Prince, April 19-22. The event will welcome fans from around the world into Paisley Park for tours, live music, panel discussions, and special presentations highlighting Prince’s talent, influence, and importance as a composer, musician, producer, live performer, and filmmaker. New this year is an exclusive off-site concert event titled Prince: Live on the Big Screen held April 20 at Target Center, which will feature newly remastered and never-before-released audio and video of Prince accompanied live on the Target Center stage by an all-star ensemble of musicians who performed alongside him throughout his career. Tickets to this show will be included in the Celebration 2018 package or are available for purchase separately. 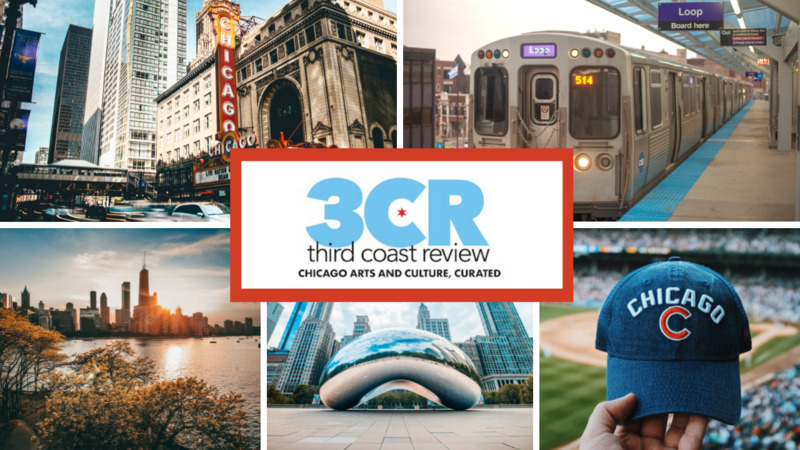 Third Coast Review: Let’s start from the beginning. How did you first connect with Prince professionally? How did he find you? That’s a hell of a coming-out gig for you. Who are you telling? [laughs] I went out there with one little bag and stayed for months and months. Everything changed. A lot of people didn’t know I was with him yet when the Super Bowl rolled around. They’d see me on tour with Anthony Hamilton. They knew I was always working, and all I wanted to do was sing. They had no clue. They were like “Is that Shelby?” It was something real special. That performance is considered by most to be the best half-time show ever. “Purple Rain” in the rain. Was that scary for you on stage in those conditions? Where did you go from there? You stayed in his band until the end. Yeah, through so much. People kept telling me “He changes his singers every six months. Don’t get too comfortable.” Then they would disappear and I was still there. The way I looked at it—and I told Prince this—“As long as you keep calling, I’m going to keep showing up. I’m very thankful to be here. I’m grateful for the opportunity. But I was good after the Super Bowl. If you never called me again, I’m okay with that.” But he kept calling me; he liked me as a person. He knew I was going to work hard at that music. He knew what he wanted for me. He’d say, “Shelby, I see your future. I see what I want for you.” It’s like I was clay to him, and I see so much now that he’s gone. We went through so much together, from the O2 Arena [in London, where Prince played 21 nights]; I was a part of his first coffee table book and CD from those shows. He let me arrange music on Planet Earth and sing on numerous CDs. He involved me in so much when he didn’t have to. He put me in front and called me by name—“Come on, Shelby!” He was so generous with his life, and he didn’t have to be. I’m still grateful and thankful. You don’t always find that in people. The Indigo Nights CD from the 21 Nights book features a version of “Misty Blue” by you that is so beautiful, and it’s become my favorite version of that song. How did you and Prince decide what covers you would perform across the various tours? He loved that song, but I would bring songs to him. For instance, I love the Doobie Brothers, so I brought “Long Train Running,” and he was like “That would work really great.” He was always open to suggestions. But “Misty Blue,” he always loved that song, and he emailed me “Learn this. I can just hear you doing this.” Or “Baby Love,” that was one of the first songs he sent me when I was still in Carolina getting ready to come back and join him for that New Year’s Eve gig. “Never Loved A Man”—songs he liked to hear and he’d be like “Make them yours.” I sang “Misty Blue” at his funeral, which we had at Paisley Park. Tyka [Nelson, Prince’s sister] asked me to sing that. I was honored to do that for him. And you also used to duet with him on “Nothing Compares 2 U,” which had to be the pinnacle. That was our moment. No matter what was happening off stage or during rehearsals, in the show, that moment was me and P, connecting. It was like a magnet to a refrigerator. We’d just look at each other, play off each other, he’d change it up, get real tongue in cheek with it. “Who you lookin’ at?” when I’d be singing about another guy. “Who?” That was a really special song for us. I watch those videos of us now—and we performed so many places over the years, so it could be any year—and I love reliving those moments and watching our interaction. You were a seasoned performer going into working with him, but what did he teach you about live performing? He taught me so much about trusting myself, all around as an artist, standing in my truth and trusting the voices I hear and the vision I see and thinking about what is it I want to do—really having a plan about what I want to do and sing about. What’s in your heart? What’s in your mind? Not what other people want from you, but what do you want to do? And to know that maybe everybody doesn’t like it or feel it, if everybody doesn’t agree that you should have cut all of your hair off [laughs]. It’s such a beautiful gift that he gave me because I’ll have that forever—be authentic, there’s only one you. I have a song about that called “Who You Are” on my CD, and he liked that jam. It talks about loving yourself, and you don’t have to be this size or this color. He really made me love everything that made me me—the good, the bad, the ugly—and anything I wanted in this life, if I worked hard at it, and I had to do the work, I could have it. Have your goal and then do the things that get you closer to that goal and work at it every day; he was one of the hardest working people I’ve ever met in my life. He’d already accomplished so much and he was still working hard at it. He could have phoned it in, but he never did. He’d still be rehearsing 12 or 13 hours a day. He could have rested on the laurels of his career, but he was still challenging himself and challenging us to get better all the time. We always hear about the taskmaster version of Prince that works his bands for full days with no breaks, but I want to hear your funniest Prince story, something that took you off guard just because it was him? He could always make me laugh, and he knew other people were looking while he was cracking me up. And he had an incredibly infectious laugh, one of the best laughs ever. I kept everything because he let me record our rehearsals, and sometimes I listen to those recordings and somebody will do something, and he’ll just bust out laughing. Sometimes I listen to those just to hear that laugh. Were there any differences between the live rehearsals and working with Prince in the studio? In the studio, he would be creating, and we would be creating and trying to bring his vocal vision to reality for whatever masterpiece he was creating that day. When we were rehearsing for shows, we were working on arrangement and getting things ready to present to other people. So he’s like “We’ll run this song 15 times, but when we run it until it’s tight, it’ll be like breathing. So when we go and perform it all over, from country to country, it’s a cake walk.” We put so much into the rehearsals and getting it tight, and you know your parts; it becomes like muscle memory. So when you do it for the people, boom, there it is. In the studio, it was more loose and creative and when you hear something, he’d be like “Sing that note, sing that line.” I’d see him scratch something out. It’s like being in the kitchen and creating your soup—a little more this, a little more that. Before we talk about this year’s Celebration, let’s talk about last year’s, which must have been a bit scary. It was because I didn’t really know how I was going to feel going back to Paisley Park. That’s just the truth. But when I went inside, I got washed over with this feeling of joy and love; it was like I could breathe. “This is cool. This is alright.” I’m in the sky room, the atrium, looking at the cloud paintings and the doves, which were still alive at that time. I had a moment; I could feel Prince. We had so much fun in that place and so many good memories, and it all came back. Then when I started meeting the fans—we’ll call them the Purple Family—everybody had stories to tell. “I went to this concert.” And there was a fellowship with the other musicians; I met so many of them that had worked with him that I hadn’t met. So we had a chance to chop it up. It was this huge reunion and it became about love, and this man connected us all. He was the purple thread that connected us all. I got over that real easy because I got swept away in the goodness that I felt. All of that fear went away, and we started performing together. So this year, I’ve been there so many times since that I know what to expect. I’m really looking forward to it because there are people coming that have never been. I want them to feel what I felt. I want them to experience that even if they’ve never seen Prince live. When you come in the that place, you feel that. You’d have to be a rock not to. It’s that powerful. Taking it back to the day he passed, what do you remember about that day and that news? And at what point did you take all of that emotion and turn it into something positive and creative? The day he passed, it broke my heart. It’s as simple as that. I didn’t want to talk to anybody; I did talk to a few band members briefly because we were all in shock and hurting. I had to breathe, so I didn’t talk to anybody for quite some time. I didn’t have anything to say. I was processing and grieving the loss of my brother. That mattered to me the most—my mental and physical health—because it physically hurt. Through months of going back and looking at videos and listening to his music and hearing him in my head, “Alright, Shelby. I’m alright. You’ve got work to do. Come on, get up.” But you just want to stay curled up in a room because you feel like that’s the end. It’s really the beginning of the next chapter. So I feel now with this next chapter, with my music, everything I do, he’s in it. I want to make him proud of me and want him to know that I’m doing what he told me and taught me to do, and how I evolved as a musician. Everybody comes to him great, but after you’re in his band, it raises you up. That’s my way of saying “thank you” to him, by continuing to do what he wants me to do. That’s how I honor him, by playing not only his music but my music and showing people “This is why I perform like this on stage. This is why I’m going through three or four outfits, because I’m sweating. I’m leaving it all on the stage.” He taught me that. It was naturally in me to do, but he brought it out. Whatever was in you, he shined it up. I’m still trying to picture what this “Prince: Live on the Big Screen” is going to look and feel like. It’s going to be kind of awesome. At Paisley, we’ve got the Paisley Park All-Stars—about 15-16 musicians coming together, who all played with Prince at different points in his career. And at the Target Center, it’s visual. People sit at home and watch concerts on Showtime, and they’re not even there. So imagine, you’re watching visuals. You’ve got the musicians he taught how to play on stage, and you get to party with thousands of other people and share this common love for this man and this music. It’s about the energy of that. You can always find something, but let’s focus on the love and the good. And these days, that isn’t a popular thing. Everybody wants to go in different directions, but for us, I’m going to focus on the good and I only want to be a part of things that I feel in my heart he’d be cool with me being a part of. I don’t say yes to everything, and I always have a choice. So when I choose to be a part of something, he’s like “Alright, Shelby. This is cool.” I think it’s going to be beautiful. Last year at the Celebration, we did “Purple Rain” with this huge screen behind us. I didn’t know how it was going to feel with him singing there. “Is this going to feel creepy or odd?” But it didn’t. I wanted to do more; I didn’t want it to end. It felt really, really good, and it brought back so many good feelings of when I was with him. And then I saw what it did for other people. When something makes you feel that good, there’s nothing wrong with that. People were hugging and smiling. There ain’t no Prince but Prince, so of course he needs to be there. Is the unreleased footage they’re showing from a particular show? I think it’s a collective of shows, and I know it’s never been seen before. He captured everything. He always said, “Capture now, share later.” I’d always wonder why all the cameras were there, because he would film every show, with professional camera crews. This man was so ahead of his time. He’d say, “You can’t redo this. You have to capture it that moment.” I do it now with my band. “Shelby’s always filming.” You can’t manufacture inspiration. This moment will never happen again, so when you capture it, it’s there forever. And he captured so many great moment of us on stage. Are you giving a talk at Paisley Park at some point? Shelby J: It’s not really talk. It’s more of a panel. We’re on a stage, and the fans are there and they can submit questions about anything. And we talk about and expand on different things that they ask us. They ask all kinds of questions. They’re curious and we’re a family and it makes us closer as a unit. Some people have met their husband and wives and best friends through Prince’s music and through this Purple Family. One of the guys I used to drive to Paisley Park with in the summer of 1995 met his wife at one of those shows. I look down at that audience, and there’s every color, every age. You can’t say that about a lot of people, who are able to bring people together like that. It looks like the United Nations out there. Who can do this? Prince can do this. He did it in life, and he’s still doing it. Of his songs, what your favorite to play? “Baby I’m A Star.” When I saw Purple Rain, I was about 12, and I would sing that song because I wanted to be a performer from the time I was in Grade 4. So that song for me was everything and I would crank it up loud and dance around, and I knew every move—especially when he turned around at the end and it would freeze frame when he looks back at the camera. That was my song. And when we did that at the Super Bowl, my mom was like “I remember you singing that song!” Even now when I play it, I get all geeked up. If I’m in the gym, I’m just dancing and getting into it. That’s the one. I’m promoting my album 10, which I named that because of my 10 years with Prince. He heard about 80 percent of the album, and his favorite song was called “Run.” And we’re going to be releasing that as a single pretty soon. I just want to spread the messages in my songs—I call it UMI music because I want to uplift, motivate and inspire—so I’m out working on that and get it to as many people as possible and give them that goodness. Prince was like “Get your music to the people. They need it.” So that’s what I’m going to do. It’s out now, and you can get it everywhere. Shelby, it was a real please to meet you. Thanks. Shelby J’s album “10” is out now and is streaming on Apple Music and is available for purchase at cdbaby, Amazon, and other retailers. You can purchase tickets to Celebration 2018, April 19-22, at the Paisley Park website and tickets for “Prince: Live on the Big Screen”, April 20th, are available at the Target Center website.